Google CEO Eric Schmidt has talked about the eagerly anticipated Chrome OS devices, insisting that the price point will remain at around £200 to £275 and that he would like to see mobile operators bundling the computers with contracts. Chrome OS is due for release by the end of 2010, with the first devices set to arrive in 2011 bringing a cloud-focused, internet-dependant computing experience. 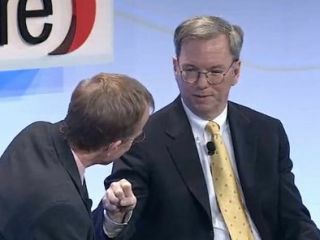 Speaking at the Atmosphere Cloud Computing forum, Schmidt admitted that even Google is having to rewrite some of the software it uses in order to switch over to Chrome OS and use its own product (known as dog-fooding). But the Google CEO believes that Chrome OS could be the first new platform in 20 years to have an impact on a market dominated by Microsoft's Windows, with Apple's OSX a distant second. "If you think about it there's not been a new successful platform in this space for 20 years, and I've had a few failures along the way," said Schmidt. "If there's anyone who understands how hard this stuff is then it's me personally and the team we've assembled is very good. "If you go back to what we are trying to do we are trying to develop a new set of platforms." One of the big problems in getting people to move to Chrome OS will be the reliance on software tied to platforms like Windows, something Schmidt is well aware of. "At Google we're getting ready to deploy these essentially Android and Chrome-based devices that are in development, so we want, of course, to eat our own dogfood which is how we sit here and build things. "We found applications that were part of our business; operations, sales, accounting so forth… even at Google we have this problem. I expect everyone faces this problem." Schmidt talked about the price point of Chrome OS devices, insisting that they would be low-cost at around the same price as current generation netbooks. "Those prices are completely determined, by the way, by the costs of the glass, the costs of the processor and things like that, but in our case Chrome OS and Android are free so there is no software tax associated with all of this. When asked about bundling a device with services, Schmidt said: "If a phone company chose to do that then that would be great."